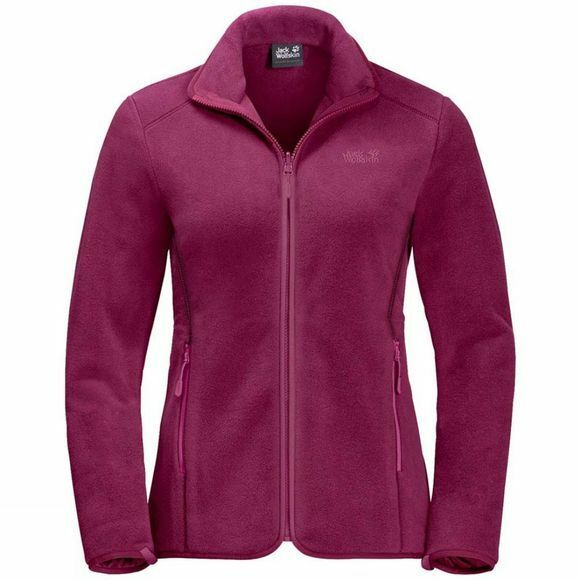 The Womens MoonShine Track Fleece from Jack Wolfskin is one of the warmest Fleece Jackets In Jack Wolfskins collection, so you'll stay warm all day long.The thick Nanuk 300 Fleece is very robust and made entirely of recycled materials. In rain, snow or strong Wind you can zip the Jacket Into a hardShell. Just dock the short system zips and you're done.